Scene from the Wright State University Theatre Department's production of The Real Inspector Hound by Tom Stoppard. This production was performed during the 1974-1975 school year. 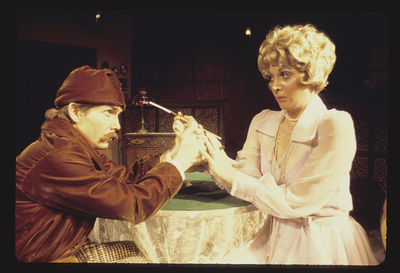 Stoppard, Tom; Plays; Wright State University Theatre Department; Bassett, Abe J.